Home interior is an important part of building your comfort at home and enjoying the time spent indoors. Furniture we choose to buy is undoubtedly the most important part in forming the coziest interior possible. Our place can’t look as good, if there isn’t a massive gorgeous sofa in the living room or a beautiful set of chairs in the kitchen. Furniture really does affect the interior like nothing else. When choosing the right furniture types, we should carefully consider the furniture size and make. Having lovely furniture at home is indeed very important, but keeping in mind the fact that your furniture should be comfortable, is the most essential aspect. These days, it is pretty easy to find the furniture you want. You can spends hours or even days searching through options for that one piece of furniture that can improve your home significantly. A “showpiece”, you know that great piece that brings a certain touch to your home. When talking about beautiful and convenient furniture, it is impossible not to think of upholstered furniture and its wide uses. 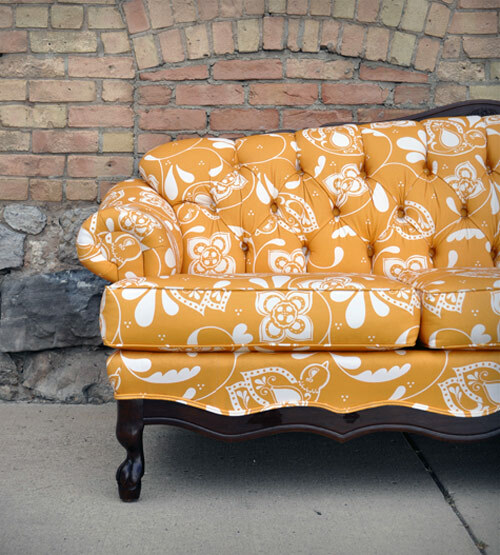 Upholstery is perhaps the most popular furniture solution for many reasons and is chosen by many people, who search for comfort and look in their furniture. Upholstered furniture has many advantages, which is why many people go for it. Here are some tips, ideas and facts about picking upholstered furniture for your home in the process of improving the interior. Perhaps years ago it was okay for people to have limited choices and to be just settles for what they found. However, these days we have way too many options to go for something we are not in to, especially if we knew we could actually have something even better. Nowadays people want to be able to compare and choose what they like best. When it comes to furniture, one of the best advantages of upholstery, is the fact that it gives us a number of materials, colours and designs to choose from. It is easy to find a piece that matches both your needs and your homes interior. From cotton and synthetic fabrics to leather and suede, there are many options to choose from. Variety is important and peoples taste manifest in many different forms, styles and colours. The fact that furniture has to be comfortable is out of question. No one would enjoy sitting in an incommodious armchair, for example, which makes you want to prefer standing. When it comes to upholstery furniture, it is easy to find a piece that is comfortable and suits your interior at the same time. The price factor is an inevitable part of home improvement. Furniture can sometimes be extremely expensive, which however, does not always mean better quality. Very often designer furniture is less durable and at the same time, much more costly. One of the advantages of upholstery furniture is that by giving you a lot of choices, it also gives you the chance to find the most convenient option in terms of price. If, for instance, you want to add an elegant and luxurious touch to your place, you can buy furniture upholstered with artificial leather. This is an affordable option to boost the classy vibe in your home. Another very important factor when choosing furniture is how easily it can be cleaned and taken care of. Leather upholstery is super easy to clean, by simply being wiped with a cloth, which makes it a perfect option for every household. Fabric upholstery can be usually cleaned with warm water and a mild detergent, which makes it a good choice for people, who prefer running things through water to clean and disinfect them. If you don’t have enough time to clean them you could always hire professionals like TenancyCleaners SW15. Last but not least, a very important benefit of having upholstered furniture, is the fact that it can be reupholstered when needed. Imagine having a stubborn stain on the sofa or a tear, which you can’t hide with a cushion. Or simply being tired of your old furniture. When it comes to upholstered furniture, instead of spending all that money in buying a new sofa, you can have it reupholstered, which not only will save you money, but will give you satisfaction with the idea of choosing the more environmentally-friendly way to cope with the problem.